Witch hazel! On Sunday I zoomed over to one of my Southold bee yards to secure the hives before Hurricane Sandy came to town. Securing beehives….sounds more technical than the work itself. I heaved cinder blocks and heavy rocks onto the top of each hive in hopes that the covers would not blow off or that whole hives would not tip over during the storm. So anyway, as I was walking into the bee yard, I saw all these neat yellow flowers on the large shrubs/small trees – American Witch Hazel! What a great welcome on a day when everyone is running around with worried grimaces and grunting hellos. American Witch Hazel is a common American shrub found growing in rich woods from Maine to Florida and west to the Plains. These tall shrubs sometimes reach ten to twelve feet in height (as are the ones in my bee yard) and have oval, wavy toothed leaves. 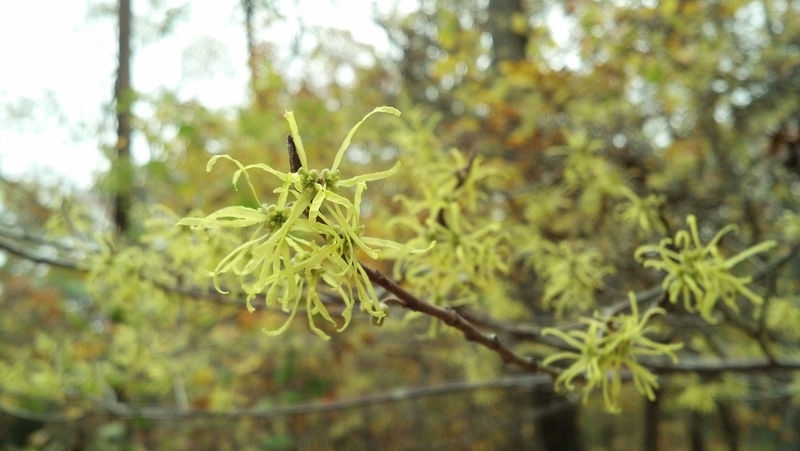 Yes, witch hazel is a fall bloomer, usually flowering after the leaves drop. As you can see in the picture, the flowers are a dull yellow, slightly resembling those of forsythia. 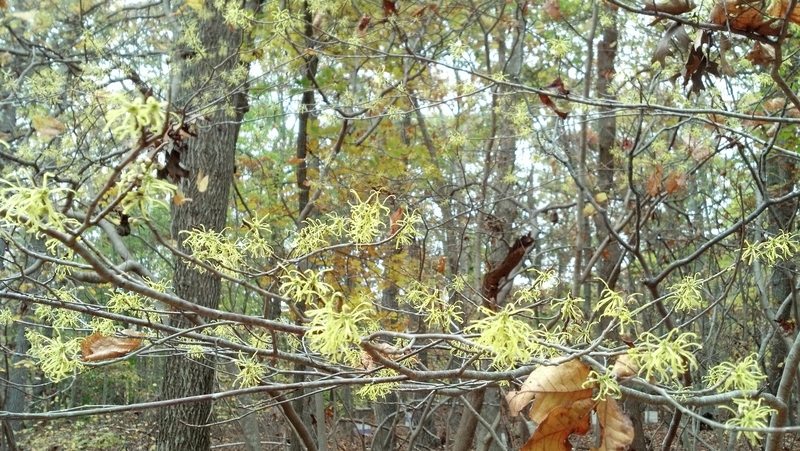 Witch hazel, used as a rub down for sore muscles, is actually a steam distillate from the leaves. Great flowers, right?